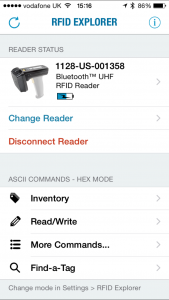 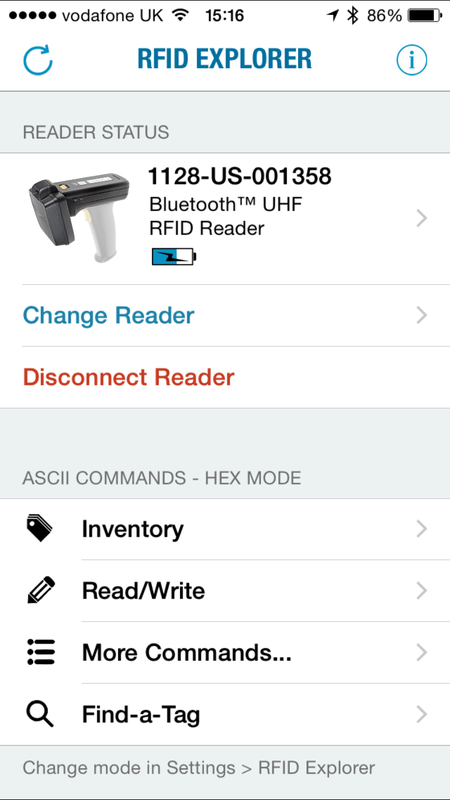 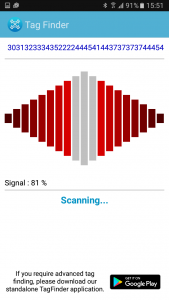 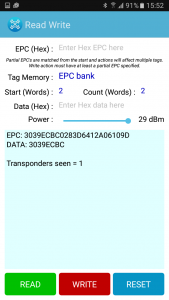 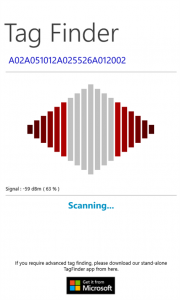 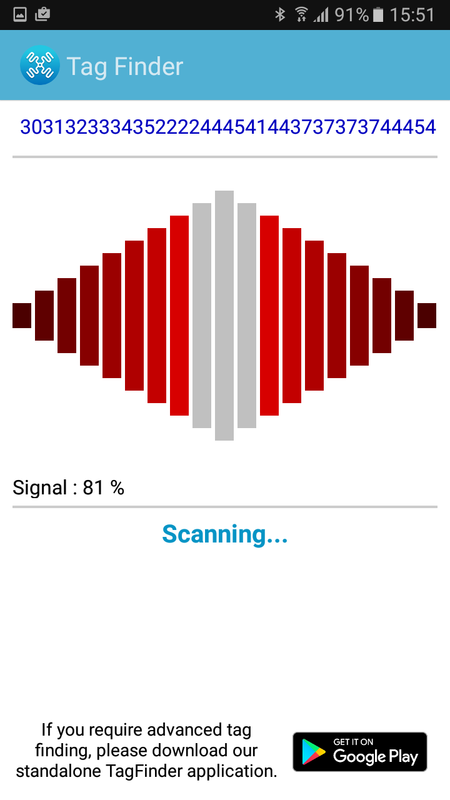 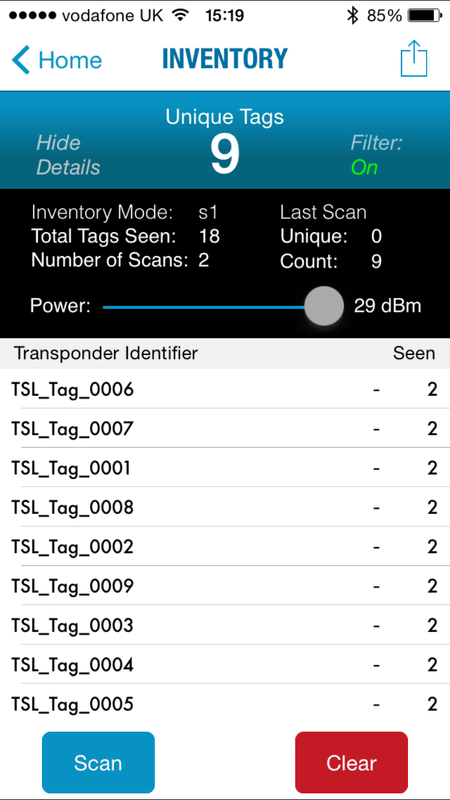 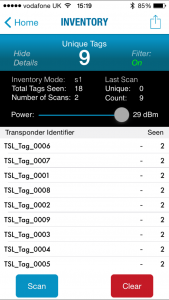 RFID Explorer is a dedicated App built to demonstrate the performance, functionality and versatility of the TSL® 1166, 1128 and 1153 Bluetooth® UHF RFID Readers. 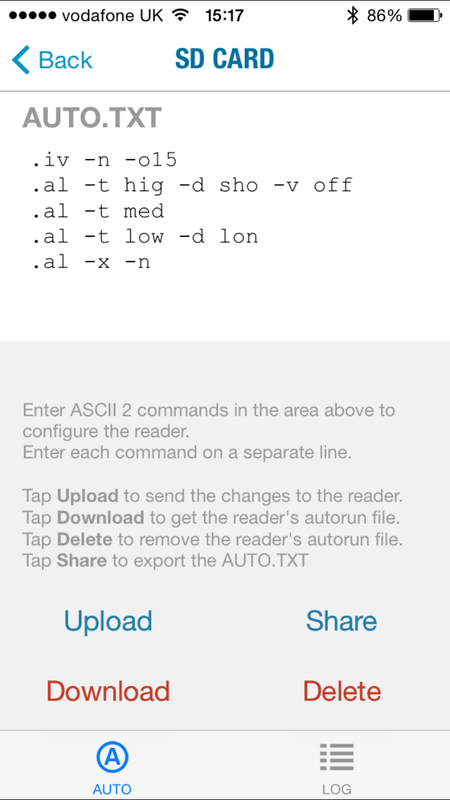 It also serves as demonstration of TSL’s powerful ASCII protocol (see above), having been built around the pre-configured ASCII commands. 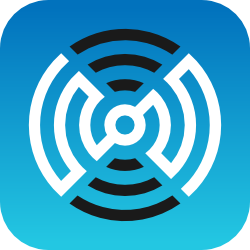 It is currently available on iOS, AndroidTM and Windows Phone. 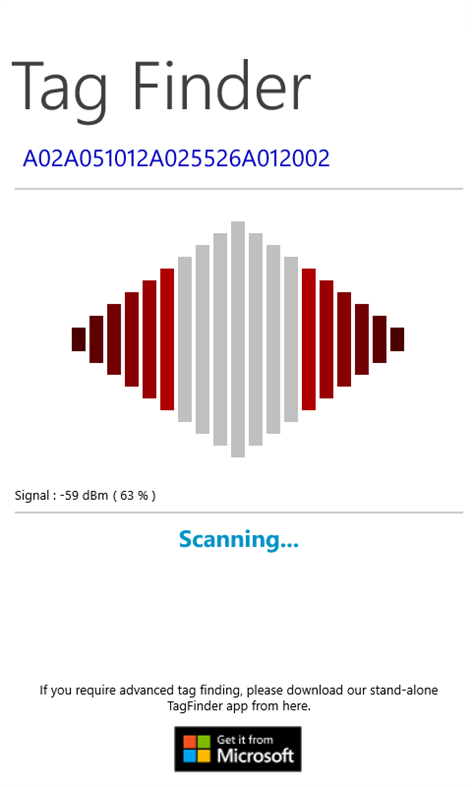 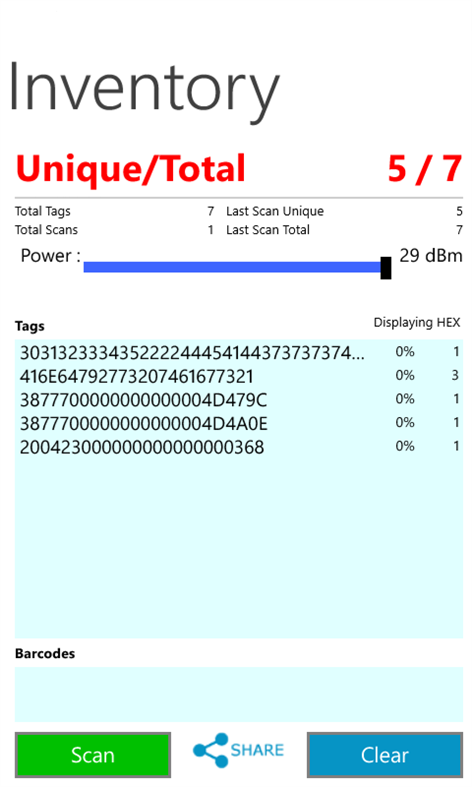 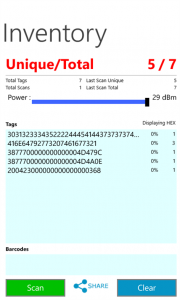 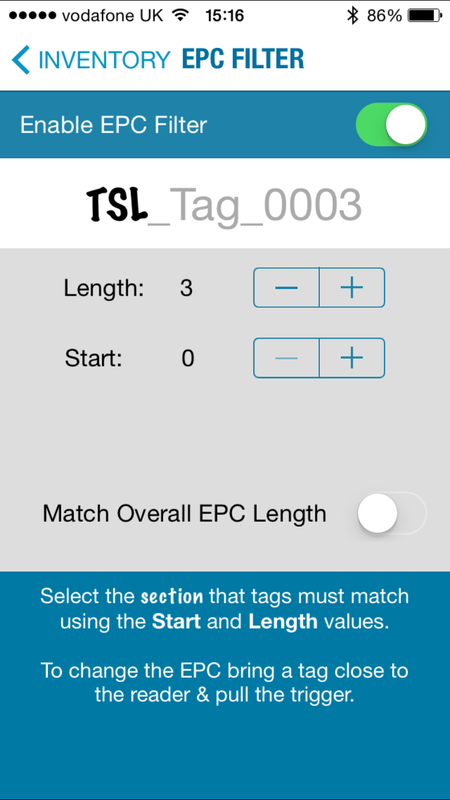 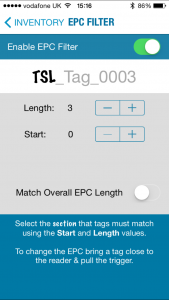 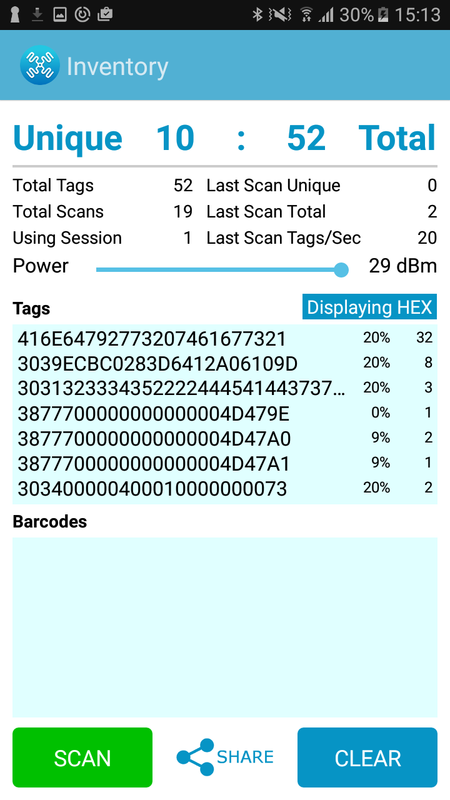 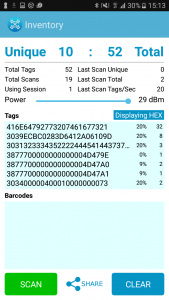 Find-a-tag – Locate a specific tag with the handheld reader aided by the graphical representations of tag signal strength levels. 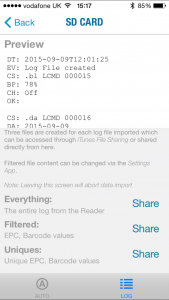 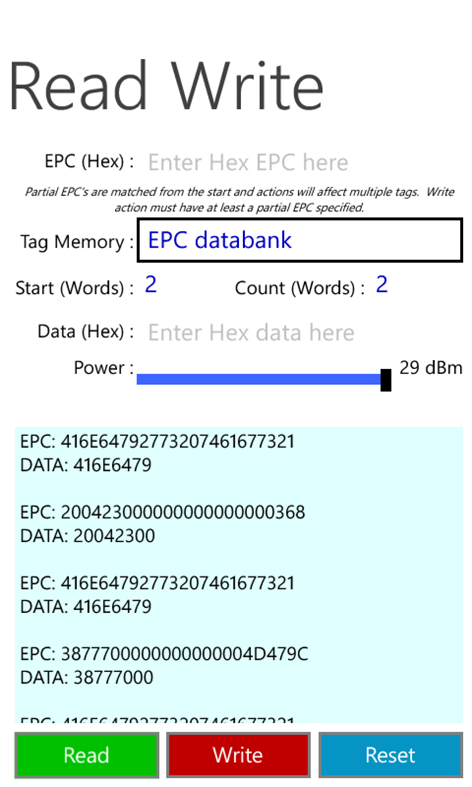 Read/Write – Inspect information stored in the memory banks of a chosen tag. 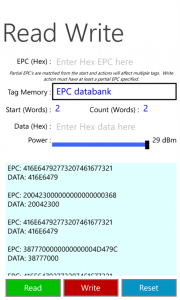 Create customised tags by writing new information to a chosen tag memory bank. 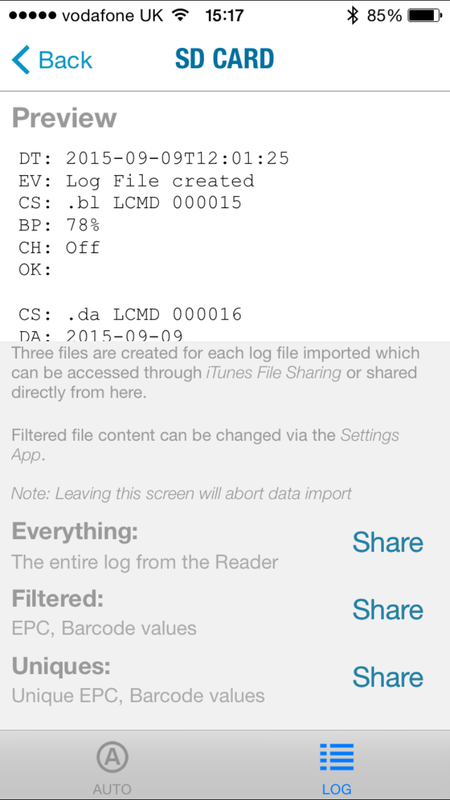 Use the Transcript to discover the underlying ASCII protocol command parameters that power these operations. 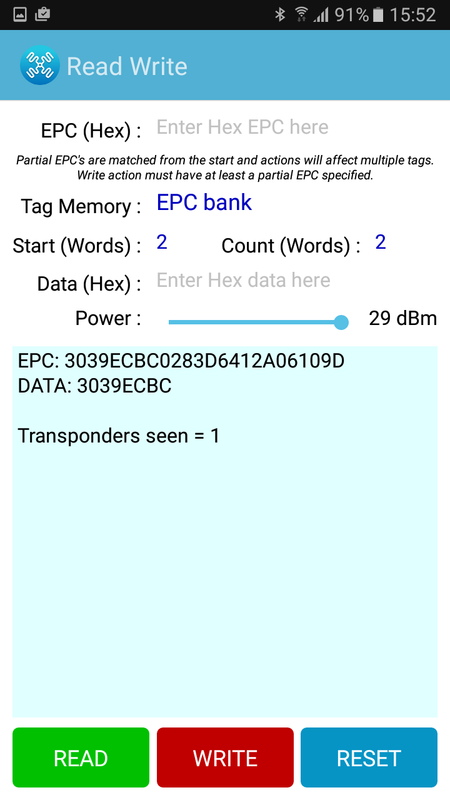 Commands – See the reader execute a wide selection of ASCII Commands while viewing all the detail of the data packets sent and received from the device. 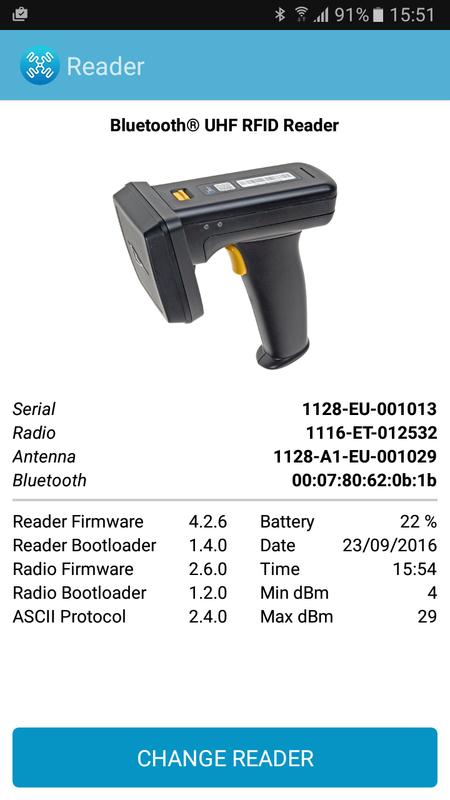 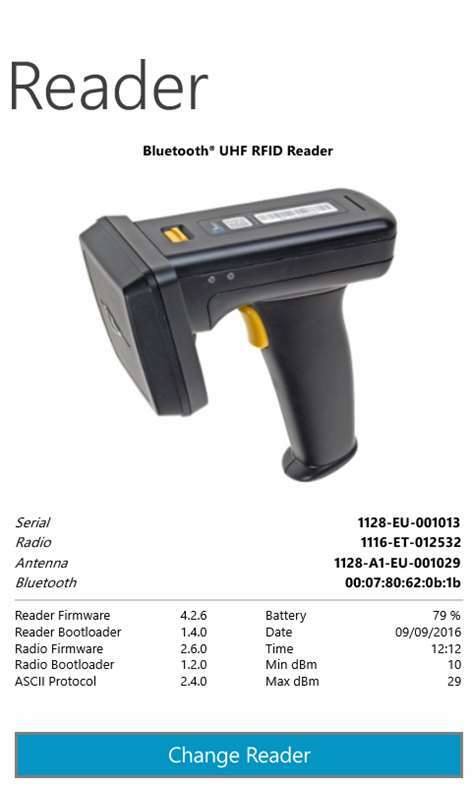 Query the reader for information such as firmware and hardware versions, region information, battery level and scan 1D and 2D barcodes (requires antenna with 2D imager option to be fitted). 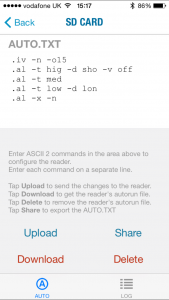 Use the in-built Command descriptions to understand the power and flexibility of TSL’s unique ASCII Protocol.